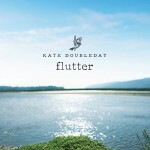 The new studio album recorded at Ride Kite Studio and co produced with Martin Levan. Musicians include Trevor Lines (bass), Dan Wilkins (guitar/kora) and Marie Smith (cello) and features Ruth Angell (violin), Jamie Smith (Accordion), The Froe (Ruth Angell, Charlie Heys, Helen Lancaster and Emma Capp) with string arrangements by Sid Peacock. A deeply-felt celebration of the wild beauty of the Welsh landscape. Recorded and mixed by Martin Levan at Red Kite Studio, Carmarthenshire, featuring Dan Wilkins on kora & guitars and Marie Smith on cello. Taking influences from the late poet Frances Horovitz, Kate has crafted a delicate portrait of what it means to belong. Produced by Joe Broughton and features Trevor lines, Dan Wilkins, Pamela Pinnock, Tina Barnes, Tom Chapman and Joe Broughton. 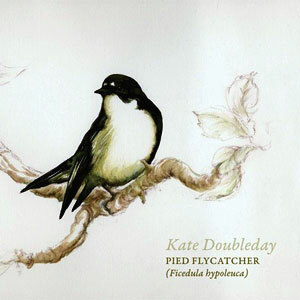 Kate’s debut CD, and the first on her independent record label Copper Records, recorded in Birmingham and produced by Phil Savage and Nils Edstrom, featuring Trevor Lines, Dan Wilkins, Sid Peacock, Pamela Pinnock, Tina Barnes, Sarah Winton, Adrian Holme, Ruth Angell, Mark Lockett and Rocky Amoo. Please read our Terms and Conditions of Sale and register your agreement here. By purchasing a track(s) or the CD you signify that you agree with the Terms and Conditions as displayed and are happy to receive occasional mailings about gigs and recordings.Delivery will normally be within 7 days of receipt of order. In the unlikely event of delays due to temporary stock shortages, we will endeavour to deliver your product as soon as possible. In the case of recordings ordered in advance we will endeavor to deliver your product within 7 days of completion of recording. Due to Copyright protection for Music, Books and Videos, we are only able to accept the return of these products if the item is damaged or faulty, when it will be replaced automatically. Please return products in original packaging complete with all documentation where possible. We reserve the right to alter prices without prior notice. Purchasers are responsible for any local import taxes.